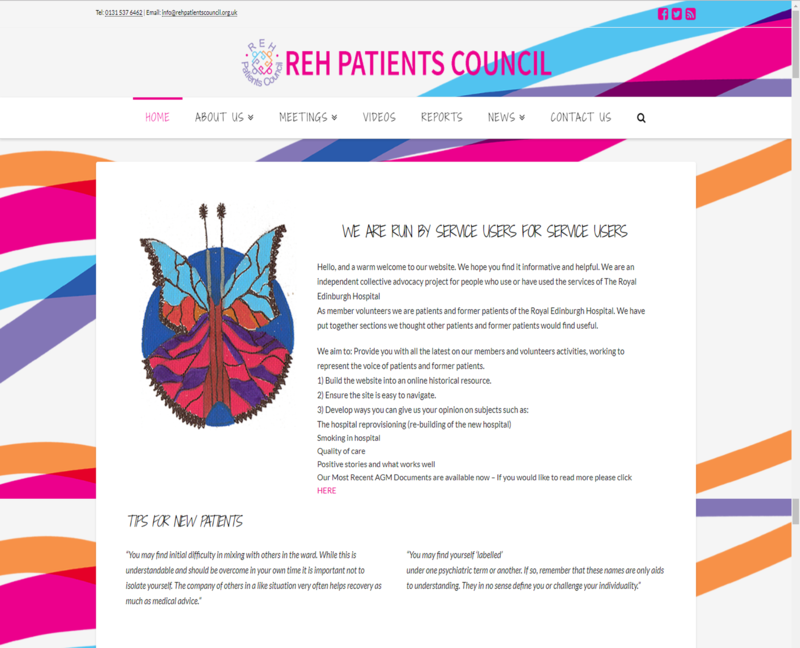 “The Patients Council is a registered Scottish charity which offers an independent collective advocacy service for people who have used or still use the services of the Royal Edinburgh Hospital. We represent the views of patients on common issues around mental health treatment and care, and work to change things for the better. WebBudd took over the running of our website in November 2012. They have proved to be an invaluable resource for us because she has been able to help us not only to improve the design of the site immeasurably, but also by maintaining and updating the site promptly and efficiently. Indeed, one of the first tasks was to upload a vast backlog of information onto the site, a task we had considered to have reached unmanageable proportions. WebBudd completed the work calmly and accurately in an incredibly short space of time. She responds quickly to all our requirements and always seems to find a way to turn our requests into reality.